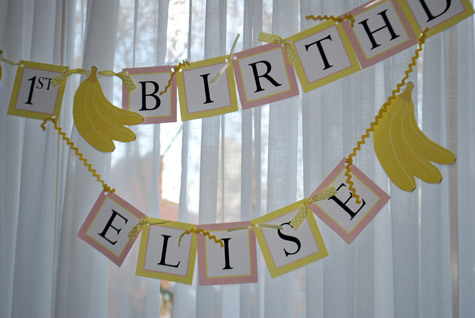 I was totally stumped trying to think of birthday party theme ideas for Elise’s 1st birthday. 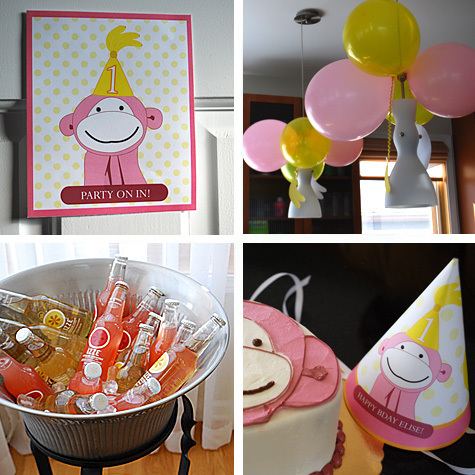 And then Shane suggested having a Pink Monkey and Bananas 1st birthday party theme and it just felt perfect. 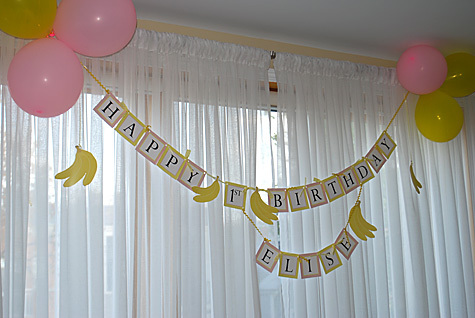 I also created a “Happy 1st Birthday Elise” banner free printable hanging sign and hung it up with yellow dot ribbon, solid yellow ribbon and vintage yellow ric-rac. 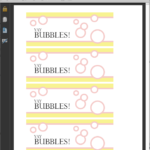 I can customize these printable templates for you for a very minimal cost – add names, change colors, ages and more – or create a custom party invitation. Just send me an email. 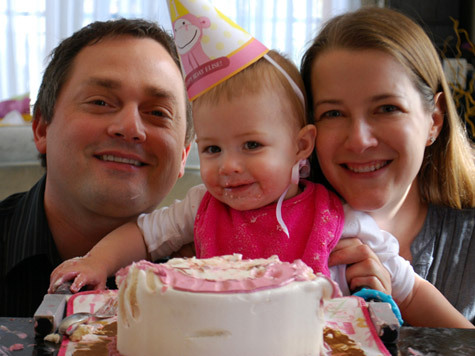 Happy 1st birthday, sweet Elise! AMAZING party, thanks so much for sharing! What an adorable theme yet outside the box, you know!? You did such an amazing job and I absolutely love all the ideas. Look forward to the tutorials! Thanks, Justine! Which one would you like to see first? What generosity! Thank you- my daughter turns three next month and this may be just the thing for her. What a creative and wonderful mother you are. 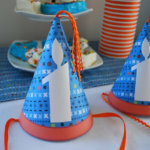 I am in love with this party idea!! 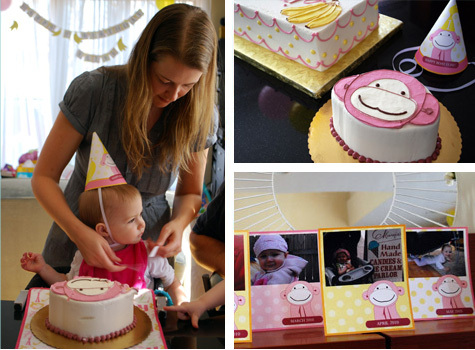 I had already decided we were doing a monkey theme cause I call my baby girl “chunky monkey”. I was trying to download the templates and for whatever reason, it isn’t working for me. If I gave you my email could you send them to me?? I would greatly appreciate it!! Hi Sarah, so happy you like it! The free hat template should be fixed now. I did get your email address so will give you more details over email. Thanks! I love this theme! Zoey has the same monkey lovey (x3). She eats, sleeps, and plays with her pink monkey lovey. This is amazing! She turns 1 in 2 weeks. 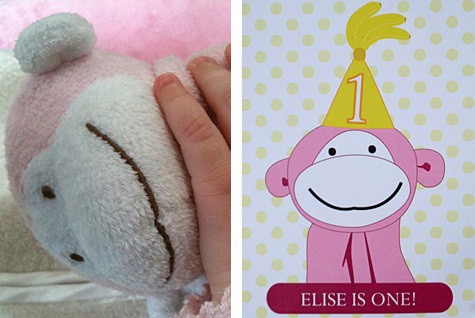 Hey Julie, that is so cute that Zoey has the same monkey! He is still Elise’s #1 pal. 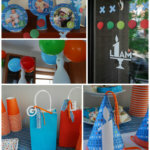 How was the birthday party? 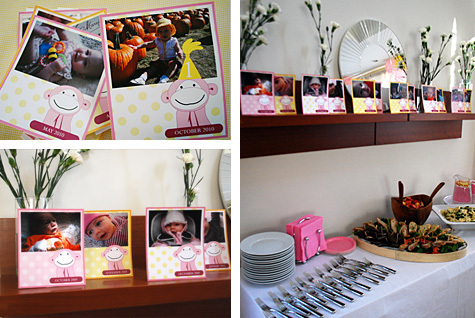 Love this theme and can’t wait to do this for my daughters 1st birthday! I don`t know if there is a link here that says, but I haven`t seen one so far… Where did you get those pink & yellow balloons? They are the right shades. 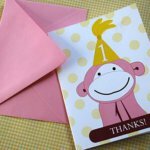 You did a fab job with this monkey theme. 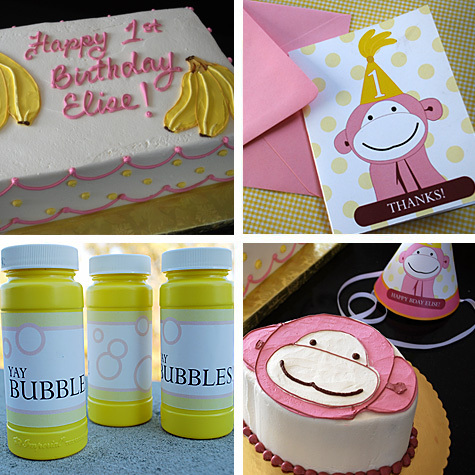 My almost 1yr young daughter is crazy for both monkeys & the color yellow, and bananas!!!! !